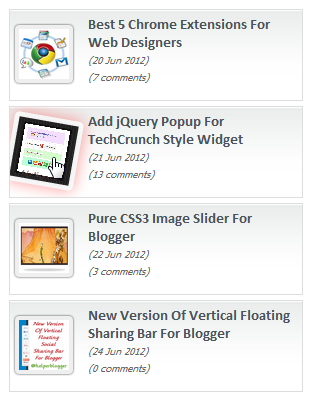 Do you want to attract your visitors by showing them impressive animated Recent posts widget? So that the visitors remain on your blog for more time and view all interesting posts. Then here I am going to provide you all with the animated Recent post widget in my new section of blog which is Impressive Widgets For Bloggers. The effect of smooth and animated recent post column attracts readers and thus increase your clicks. Here is a simple article also suitable for beginners. Go to the Blogger dashboard. Add following Code to it. 1. Home page URL address http://www.allbloggingways.com. 2. You can change the width and Height of the widget. 3. You can change the back ground image according to your website. 4. Image size can be changed. That’s all I have. For more such articles keep following this blog. DO YOU LIKED IT???? COMMENT!!!! !